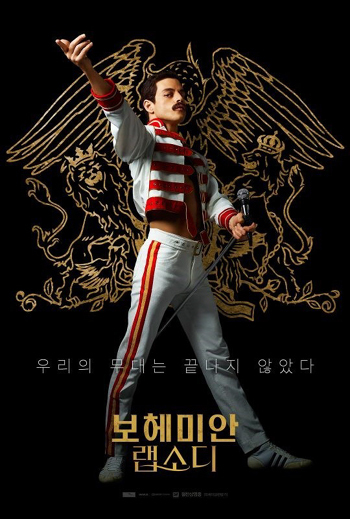 "Bohemian Rhapsody" about legendary British rock band Queen on Saturday became the sixth-highest grossing foreign film in Korea of all time with more than 9 million tickets sold, surpassing "Iron Man" from 2013. The popularity of the film was expected to wane around year's end with the release of big-budget Korean films like "The Drug King," "Swing Kids" and "Take Point." 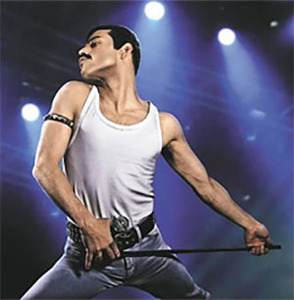 But "Bohemian Rhapsody" refuses to go away. This December high season marked the first time in seven years that Korean movies fell behind foreign ones. From Dec. 1-29, domestic films accounted for less than half or 47.2 percent of the market. In December last year, domestic box-office hits "Along with the Gods: The Two Worlds" and "1987:When the Day Comes" raised the market share of Korean movies to 78.2 percent. But this year there is also Hollywood superhero hit "Aquaman," which has surpassed 3 million viewers, while sci-fi flick "Bumblebee" is also attracting hordes of moviegoers. Film critic Kang Yoo-jung said, "Korean movies have sought to attract audiences with fresh narratives but failed because of their limited budgets and misguided attempts to follow the Hollywood production formula of just casting A-listers in genre films. So if that's what people want, they get slicker fare from Hollywood films."